The Fishing Station is a former salmon coastal fishing station now fully refurbished to provide modern comfortable accommodation for holidays and short breaks. 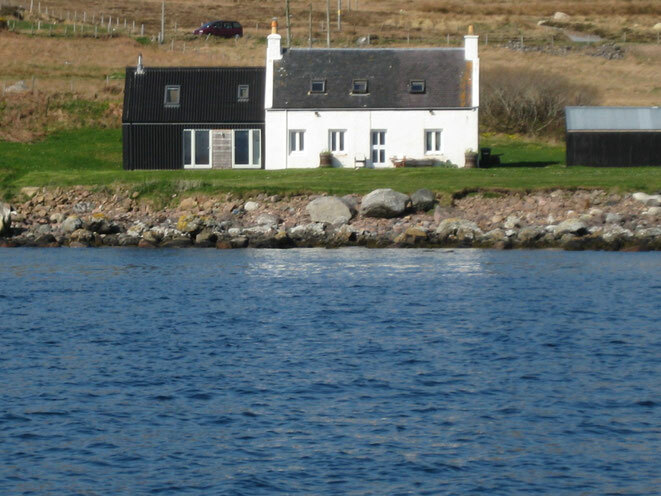 Situated in the most wonderful location with views over the sea stretching from the Outer Hebrides to the West and Gruinard Island to the East. We are confident that you will have a relaxing holiday watching the world go by. 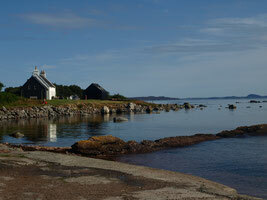 With a small jetty 100m away the cottage makes an ideal base for those interested in Boating and Sea Fishing. There is even a small sandy beach just 50m away. The elevated vista offers an opportunity for parents supervising kids who are "rock pooling" to do so with safety while they relax at the front of the house. See for yourself - check our Gallery for photos. A fully appointed holiday cottage only 15 meters from the sea with breathtaking views over Gruinard Island and the Summer Isles. The cottage has all you could ever want as a holiday home, comfort, simplicity, peacefulness and location. The Fishing Station is adjacent to a small jetty available for your use, in the magnificent and picturesque North West of Scotland. We are only 1 1/2 hours from Inverness. Visit us for a relaxing comfortable holiday break.